CEG is pleased to announce four new additions to The Chicago Project: Allison Barnes, Elaine Miller, Kevin Shick and Everett C. Williams. Be sure to visit The Chicago Project online gallery to see more images by all four artists. The landscape in which identity is supposed to be grounded is made out of memory and desire, of shifting gestures that point towards what has happened and will happen. There are places that make us, and in some way, we make them. Or means of survival speak of how we value and use the natural world according to our senses, and shows how our own history becomes aligned with the history of a site. The terrain of these stories are built out of personal geographies where we seek comfort and sometimes solitude, where the light is regenerated into three hundred golden bees, calling forth desires that are reconcilable. My work explores the themes of death, transience, memory, preservation, and both the frailty and resilience of the human spirit through challenging experiences. This body of work is my direct reaction to the expected passing of my father, which was quickly followed by the unexpected death of my sister. Immediately following their deaths in 2009, I began photographing the remainder of my family with significant objects symbolic of my dad and sister. I wanted to produce a means for the living to interact with the dead, thus keeping those departed alive. 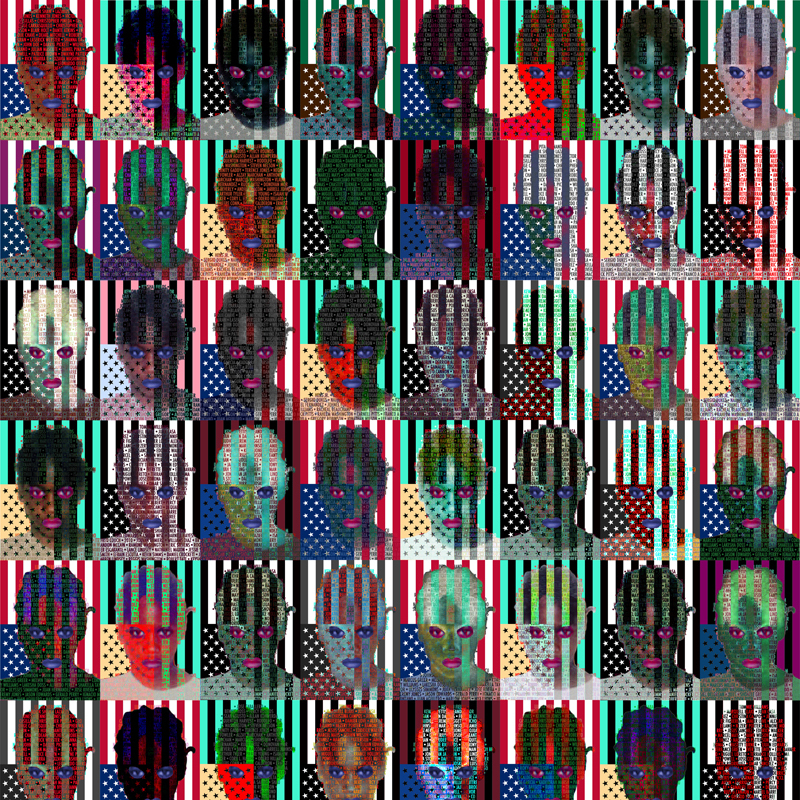 I also use my work to illustrate the alienation I have felt as well as the fight to recover from the disconnect I built within myself as a coping mechanism. As time has passed, I continue creating portraits of my family to represent the various stages of grief my own psyche has traversed throughout the grieving process. 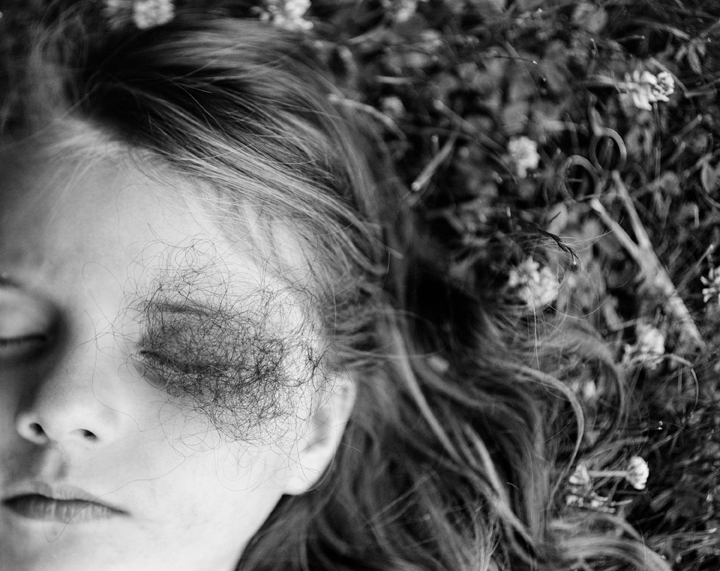 I especially find catharsis in photographing my nieces and nephews, as they themselves are now the symbolic objects my sister and father live through. 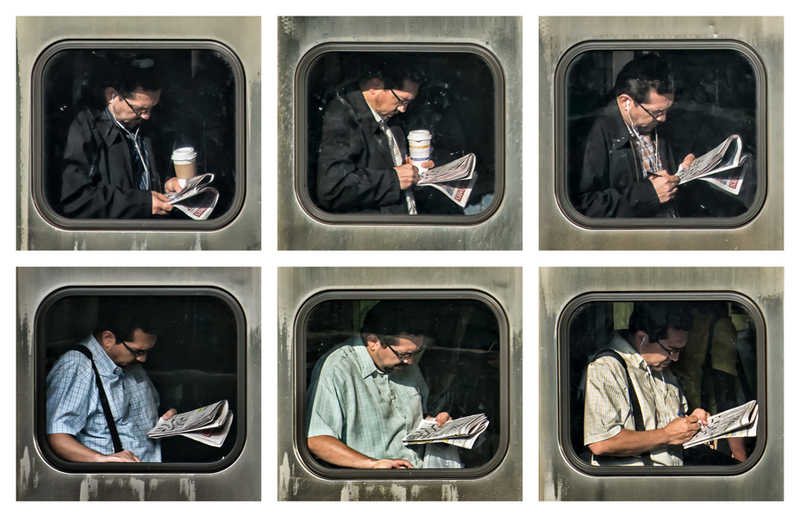 In the series “The Commute” I attempt to capture people as they truly are. More than candid portraits, these pictures are about identity and the power of habit in creating that identity. In exploring this hypothesis I found that commuters present a situation containing two elements: the natural self and repetition. As I observed these commuters over several months, I noticed that certain individuals stood in the same place on the train every day, doing the same thing, often wearing similar clothes and expressions. Others, whether they were happy, pensive, worried, or self-distracted with a smartphone, seemed to have their actions and outlooks determined less as the result less of conscious choice than of unconscious habit. The combination of language, symbols and color are used to produce photo-based images that discuss cultural, social and political issues. Photographic and graphic images are digitally combined to produce “OP/POP Art” portraits and images. The mixing and interaction of colors based on the color and value of these images alters the visual perception of the images as they play with the senses. Yummy series is about the high rate of unprecedented murders in Chicago. It is centered around the image of Robert “Yummy” Sandifer, an 11yr. old killed by the very gang he had killed for. In this series the central figure of Yummy is composed of names of other children who have been killed over the years. If you are interest in learning about more about The Chicago Project click here. If you would like information on how to submit to the project click here. Next > Happy Thanksgiving from CEG!